Quake is a first-person shooter video game and was released by id Software in 1996. 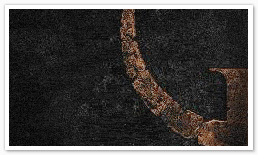 It was the first game in the popular Quake series of video games. To improve the quality of online play, id Software released QuakeWorld on December 17, 1996, a build of Quake that featured significantly revamped network code. 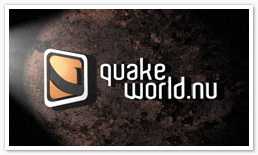 In December 1999, John Carmack of id Software released the server and client source code of Quake and QuakeWorld under the GNU General Public License as a Christmas present to the world, and this spawned a plethora of 21st century updates to the game. With the source code released, Quake has branced off in several modern clients which each brings various features and improvements. In 2007 Quake was honored at the 59th Annual Technology & Engineering Emmy Awards for advancing the art form of user modifiable games. Many years after its original release, Quake is still regarded by many critics as one of the greatest and most influential games ever made. It is considered even today by many die-hard players to be the best multiplayer game with it's fast paced action and fun gameplay. QuakeWorld.nu is a QuakeWorld site that strives to be the centre for the true quaker. We bring you news and articles from all over the world, and have an active forum where our community can debate the issues of the day, discuss the latest matches or just have a good laugh. The site is developed and run entirely by unpaid volunteers. We do this out of interrest of this terrific game we all love, and to strenghten the Quake scene. We are aware that trying out QuakeWorld and becoming a part of the community is not easy at first, and our aims are focused on trying to facilitate this process for any newcomer to our welcoming scene. Furthermore, we try to provide a portal that suits the need of the existing community as well. Please visit our IRC channel #quakeworld on QuakeNet. 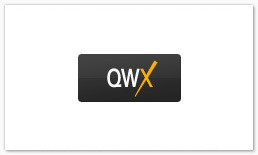 QWX is the web application framework that runs this website. It was developed for QuakeWorld.nu in 2012 by swiNg with the concept to split up code into many different "apps" for good manageability. QWX aims to make the website easy to use and administrate.